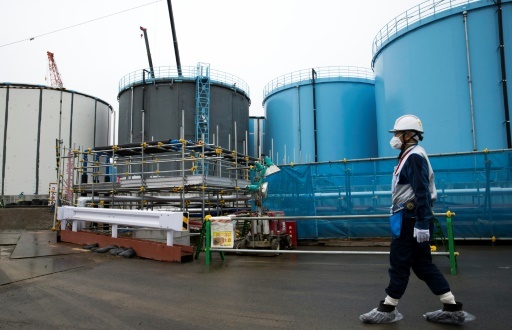 Tokyo Electric Power Co Holdings (TEPCO) said Thursday it faces another U.S. lawsuit over the 2011 Fukushima nuclear disaster, with the latest one demanding at least $5 billion in compensation. A total of 157 U.S. residents who were supporting Fukushima victims at the time filed the class action suit in a California district court earlier this month against the utility known as TEPCO and a U.S. company. A massive tsunami triggered by a 9.0-magnitude earthquake smashed into the Fukushima Daiichi power plant on March 11, 2011. The giant waves overwhelmed reactor cooling systems and sent three into meltdown, spewing radiation over a wide area. The plaintiffs, who joined aid efforts along with U.S. troops shortly after the disaster, claim they were exposed to radiation because of the improper design, construction and maintenance of the plant. They are seeking $5 billion to cover the cost of medical tests and treatment needed to recover from the disaster, TEPCO said in a statement. They are also demanding compensation for physical, mental and economic damage but no further details such as a sum of money or the identities of the claimants were available. It was the second multi-plaintiff suit filed against the utility in a U.S. court following one by more than 200 individuals in 2013. In Japan, more than 10,000 people who fled their homes over radiation fears have filed various group lawsuits against the government and the firm. Was this the so called “Tomodachi” gang? What? They were volunteers and they must have know what they were getting themselves into. It was immediately apparent that there was a high risk of radiation exposure anywhere near the Fukushima area. The only way I’d pay any of them a dime is if they could prove that TEPCO intentionally lowered the radiation numbers in the areas they were working below actual numbers. In addition… there would have to be actual proof that it was the radiation that caused real physical ailments. I would not pay a dime if it was for mental suffering over the idea that they may have been affected by radiation. It was GE (US) made reactors. Japan (Kan administration) refused Tomodachi Operation but was forced by US. Japan was made to pay billions of yen for US’s “Volunteer” operation. No Japanese residents or rescue workers became sick by radiation. What are the statuses of those lawsuits? Its 6 years since it happened, time to get the people the money they deserve! That’s right then. It was the so called “Tomodachi” guys. A PR stunt that left a very bad taste. @tinawatanabe; It does not matter where the reactors were made… it was the location and height above sea level that caused the back-up power generators to fail. The original plan to build the plant had it being built on a bluff which was 35 meters above sea level. But TEPCO lowered the design to 10 meters in order to save money. TEPCO did research regarding a Tsunami but they felt 10 meters would be sufficient… of course, it was not. I’m with SaikoPhysco, if they volunteered and went to Fukushima themselves after the meltdown they had to have known there would be a definite risk of radiation in the area. The reasoning of this lawsuit doesn’t make any sense to me, unless it really just is the bold-faced money-grab as it appears to be. Get 5 billion, Japanese citizens get? it was the location and height above sea level that caused the back-up power generators to fail. Snowden and Wikileaks say US implanted explosives in many Japan’s important infrastructure to prevent Japan become independent from US. Your non-point is? The decision was made by TEPCO. No amount of hemming, hawing, conspiracy theorizing, or other attempts to shift the blame off of TEPCO and onto anyone else is going to change that. The US and its law suits never fail to amaze! So you volunteer to go and help where a nuclear reactor has had a melt down. You then cry foul and climb on the bandwagon to claim $5 billion to be shared amongst 157 shameless individuals who’s original intentions were no doubt to do this eventually and had no intentions of actually helping. Let’s see $5,000,000,000 / 157 = $31,847,133 each minus lawyers fees and reduced settlement figure, taxes etc should net these sharlatans less than their expenses to fly over for the scam. Only the lawyers are going to go home with their pockets full if anyone is. I notice there is no actual concern for the poor Japanese folk who were the actual victims…typical! That’s quite a claim! Please provide some sources, we’d love to know more.